What Type of Mobile Internet Device Is Best for Your Needs? The internet is rapidly changing how we interact with the world. At the same time, how we interact with the internet is also changing. Gone are the days when most of us connected via phone lines. Gone, too, are the days when a Ethernet cable was necessary to achieve high speeds. Not only can we get online wirelessly, but we’re no longer limited by the range of our routers. We can get online anywhere with a strong connection to a cellular tower. There are multiple ways to go about doing so. Do you connect everything via a portable wireless hotspot, or is your smartphone good enough for the task? Should you invest in a 4G USB dongle or a WWAN card? Each of these approaches has their own pros and cons. Let’s take a look. You may have heard of portable mobile hotspots referred to as MiFi. MiFi is shorthand for “My Wi-Fi” and refers to a small mobile router that acts as a wireless hotspot. The actual term MiFi is trademarked in many countries, so don’t expect many companies that sell portable mobile hotspots to use that name. Buying a portable mobile hotspot is a lot like buying a phone. You typically order one from the carrier that provides your service. You can pay an upfront cost that typically is around $100-$200, or you can get a subsidized unit by signing a two-year contract. Though some companies and models eschew a contract and only charge you for the data you use. Portable mobile hotspots access the same cellular network as your smartphone. You can add them as another device on your shared data plan, or you can get one on its own with a data-only plan. Data plan prices tend to be similar to the amount you spend on phones. These devices tend to have 10 or so hours of battery life and can support roughly the same number of connected devices. Some models serve as portable battery packs that can charge your phone, and others offer shared storage via a microSD card slot. Many have screens that show how much data you’ve used out of your monthly allotment. The specifics change depending on which model you buy The 7 Best Portable Mobile Wi-Fi Hotspots The 7 Best Portable Mobile Wi-Fi Hotspots If you spend more time away from home than at home, you'd be surprised by how useful a portable Wi-Fi hotspot is. It lets you take the internet with you everywhere you go. Read More . One downside to a portable mobile hotspot is having to lug it around in addition to your phone, tablet, or laptop. On its own, it’s not good for much. 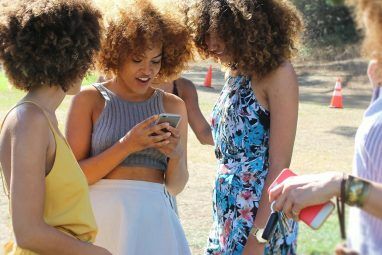 The cost of a data-plan can also add up, and if you’re merely adding one to your shared data plan, there’s little reason not to tether your smartphone instead. A portable wireless hotspot is a router, sure, but it’s meant to be small and portable. This comes with a few sacrifices. They lack the range that you can get from your beefier at-home router. Don’t want to make that sacrifice? Grab a full-size mobile router. These are less portable, but you get the benefit of external antennas and multiple ethernet ports. 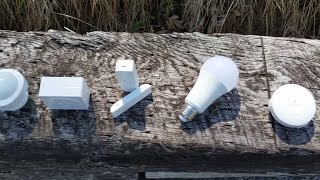 If you’re in an RV or are attempting to use cellular data to replace your existing home internet connection Cable vs. Fiber Internet: Which One Is Better? Cable vs. Fiber Internet: Which One Is Better? The two most common forms of broadband internet are cable and fiber. But which one is better for you? If you have the option of both, which one should you go with? Read More , this may be the route to go. As for the downsides, they’re obvious. These are bigger than your standard portable wireless hotspot, and that means they’re less travel friendly. One would take up more space in your bag, and the battery won’t last as long. You’re going to want to plug this in. These also tend to cost more upfront, even if the data plan itself remains the same. Don’t want to buy another device? That smartphone you probably have in your pocket may just be all the internet you need. Sounds great, I’m sure. Before you get too excited, the drawbacks are substantial. Here’s the situation. Smartphones can provide internet access to other devices by turning into hotspots. Tell your phone to start sharing its data, and give the temporary network a name. Your laptop or tablet can connect the same way they would to Wi-Fi. Alternatively, you can connect your phone to a computer using a cable. 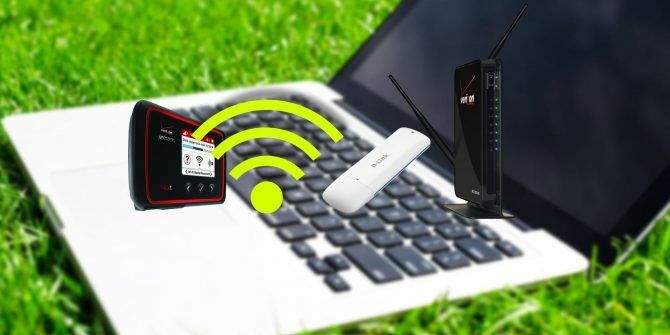 Regardless of which method you choose, this is called tethering Tethering: How to Connect Mobile Internet to Your PC or Laptop Tethering: How to Connect Mobile Internet to Your PC or Laptop With data tethering, you can use your mobile internet on your PC, laptop, or tablet anywhere. All you need is an Android phone. Read More . Wherever you have your phone, you have internet. Doesn’t this mean everyone who buys a dedicated hotspot is being duped? No. Smartphones aren’t designed to serve as hotspots, so they don’t send signal as far or handle as many devices as many dedicated units. Plus, tethering is a huge drain on battery. If you use your phone to provide internet for a few hours, expect to need a charger before the end of the day. Don’t be surprised if your handset becomes a little hot to the touch, either. There’s another big reason why you don’t want to go this route for an extended period of time. Even with an unlimited plan, most carriers don’t let you tether all that much data. Reading articles and checking email is fine, but if you want to start watching videos, you can blow through your monthly allotment real quick. Maybe the problem with smartphone tethering is that your mobile device isn’t the best tool for the job. Your laptop is more powerful. Why not use that instead? With a 4G USB dongle, you can. Like portable wireless hotspots, 4G USB dongles come straight from the carrier. They look like flash drives but function as antennas. Sticking one in your laptop has the effect of giving your computer a cellular radio. 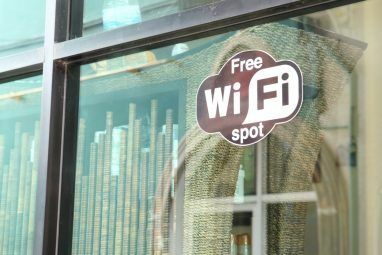 It’s now able to hop online via Wi-Fi or cellular data, just like your smartphone. It can also share that connection with other devices. USB dongles don’t take up as much space as a portable wireless hotspot, and they don’t put much extra drain on your battery the way smartphone tethering does. That said, you have to keep the dongle plugged in for it to work. That means giving up a USB port. That’s probably not all that big a deal on most laptops, but there are many sleeker models out there that skimp on the number of ports. Some have even done away with full-sized USB ports entirely. New MacBooks, we’re looking at you Apple Is Forced to Make USB-C Dongles Cheaper Apple Is Forced to Make USB-C Dongles Cheaper Apple has cut the price of its USB-C adapters. Because it turns out people still use USB-A and HDMI, and don't want to pay top dollar to use their own peripherals. Read More . Depending on which dongle you have, there’s a workaround. Plug the stick in a phone charger instead. Though this option sacrifices mobility, since you will need to be near a power outlet or the cigarette lighter of a car. A 4G USB dongle doesn’t get you out of a data plan. You still need one, and they’re not going to be cheaper than buying one for a portable wireless hotspot. Another downside: dongles often require special software. Setup can be slow or annoying. If you’re a Linux user like me, this may mean you have to jump through additional hurdles, or you may be out of luck entirely. Wireless wide area networks, or WWAN, are something you’re more likely to interact with on the job than on your own time. These are wide area networks that utilize a cellular network to keep corporate computers connected. These can be employee laptops, kiosks, point of sale machines, or vehicles. A WWAN card gives your PC the ability to connect to a wide area network using a cellular connection. This enables you to connect to a corporate network wherever you’re in range of your company’s WWAN. Typically a traditional carrier provides and manages the infrastructure. WWAN is offered straight to businesses, not general consumers. For that reason, it’s hard to make a comparison to the options listed above. Don’t think of this as your personal solution to get online. But keep in mind that if you do want to access a wireless wide area network, you will need specific hardware, such as a WWAN card, in order to do so. Some laptops come with this functionality built in. You might not be surprised to hear that there is no single best answer. For lightweight, occasional use, smartphone tethering is just fine Hotspot Control: Use Your Android as a Wireless Router Hotspot Control: Use Your Android as a Wireless Router Using your Android device as a hotspot is a great way to share your mobile data with your other devices like a laptop or tablet -- and it's super easy! Read More . Work away from home often and need to connect multiple devices? A portable wireless hotspot can come in handy. Have only limited space to work with? A 4G USB dongle can fit in your pocket. Is mobile internet all the internet you have? Then maybe you will want to invest in a full-size mobile router. Is the signal comparable to home internet in your area, or are there not enough towers near you? Is mobile internet your only source of internet? Do you travel a lot? What mobile internet solution do you prefer? Share your stories in the comments section below! Explore more about: 4G, Mobile Broadband, Mobile Plan, Wi-Fi Hotspot. What Is Data Corruption? How to Fix a Corrupted Hard DriveHow Is Your Sleep App Actually Tracking You at Night? I use a old grandfathered Verizon unlimited plan sim in a cradlepoint router. Works great. What Is Wi-Fi Calling and How Does It Work? Verizon, AT&T, T-Mobile, and Sprint: Which Mobile Carrier Is Best for You?